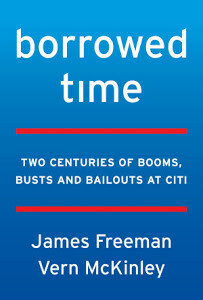 Authors James Freeman and Vern McKinley discuss their research on 200 years of Citi’s history as presented in their 2018 book Borrowed Time. Lunch will be provided. James Freeman is assistant editor of The Wall Street Journal’s editorial page and author of the weekday Best of the Web column and newsletter. He writes about business, finance and taxes among other issues, and is a contributor to the FOX News Channel. Before joining the Journal in September 2007, he served as investor advocate at the U.S. Securities and Exchange Commission, where he encouraged the transformation of financial reporting technology to benefit individual investors. 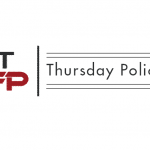 Vern McKinley has worked with the Board of Governors of the Federal Reserve, the Federal Deposit Insurance Corporation, the Resolution Trust Corporation, and the Department of the Treasury’s Office of Thrift Supervision. In 1995, McKinley graduated with honors from The George Washington University School of Law, where he is currently a Visiting Scholar. He has applied his expertise as a legal advisor and regulatory policy expert to work as an advisor to governments on financial sector issues in the U.S., China, and more than thirty other countries and territories around the world.